With just one year in operation, lending firm Billions Finance has expanded its business in the whole of China, earning top-level market share. In response to the booming market, the firm has around 2,000 agents working in their customer-service organization. However, continued expansion, anticipated for 2015, brings new challenges. In December, 2014, Teleopti won the bid to provide a workforce management (WFM) solution for the rapidly growing firm, in dire need of top-notch WFM automation. 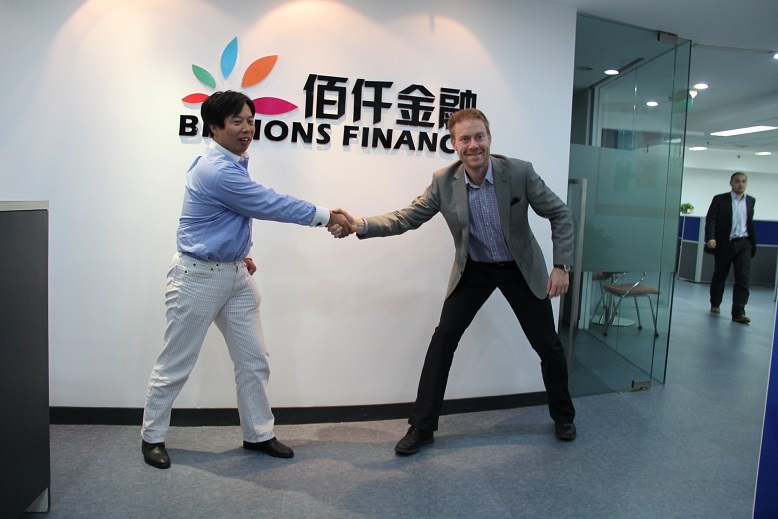 Picture caption: December 1, Beijing - Olle During, CEO of Teleopti AB and Qian Long, CRO (Chief Risk Officer) of Billions Finance, shake hands after signing a strategic cooperation for a major WFM project for the Billions Finance office in Beijing.